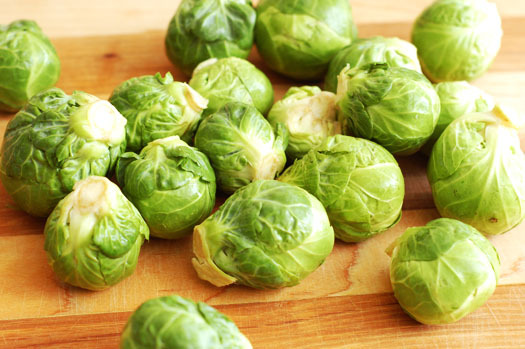 Brussels sprouts are a cruciferous vegetable, which means they are closely related to broccoli, cabbage, etc. They are a long-season growing crop, with time from plant to harvest taking around 6 months for best results. However, its health benefits are worth it. They are extremely high in fibre, protein, and have been shown to significantly lower cholesterol levels. Now to grow this diet starter of a plant, let’s see its main features. NOTE: You can buy brussels sprouts seeds from our online garden store – the best place to buy seeds online. We deliver anywhere in India. Sowing Season: Brussels sprouts are a cool season crop, and need to be sown two weeks before the cold season begins, depending on your climate. Sowing Method: Start the seeds off indoors, until they reach a certain height before transplanting them outside. When the young plants are 10-15cm (4-6in) high and have around seven true leaves, transplant to their growing positions, leaving 60cm (2ft) between plants and 75cm (2.5ft) between rows. Before planting, water plants well and water well again after transplanting. However, after the initial transplanting phase, make sure not to overwater the plants as this can affect the quality of the crop yield. Care: Make sure to use an organic fertilizer, with high nitrogen and boron content for your crop. Also spread out a layer of mulch over the soil to give a uniform feeding distribution for the plants. Mound the soil around the base to support the plants. 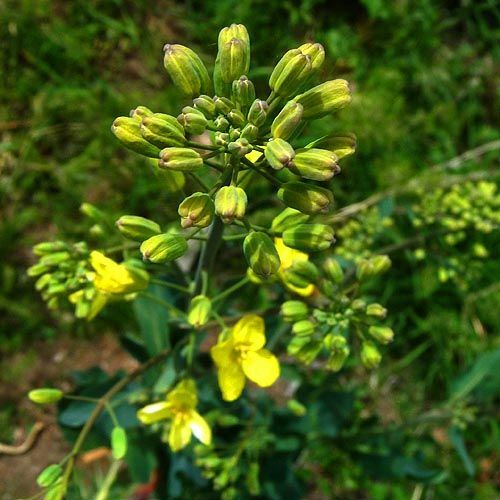 Pests: Birds and caterpillars are the main culprits which hinder the growth of this plant. They eat the leaves of the Brussels sprout in its initial stages. Make sure to keep a net or some sort of covering after transplanting the plants, to avoid this headache. Harvest: The part that is harvested, are the buds which grow on the stems, in between the leaves. Usually the plant is ready for harvest around 6 months after planting. Wait for one frost to pass before harvesting, as sprouts are said to be the sweetest after a frost has passed. Simply snap them off of the stem, to harvest them. Cutting off the leaves makes the buds easier to reach, thus making harvesting an easier task. 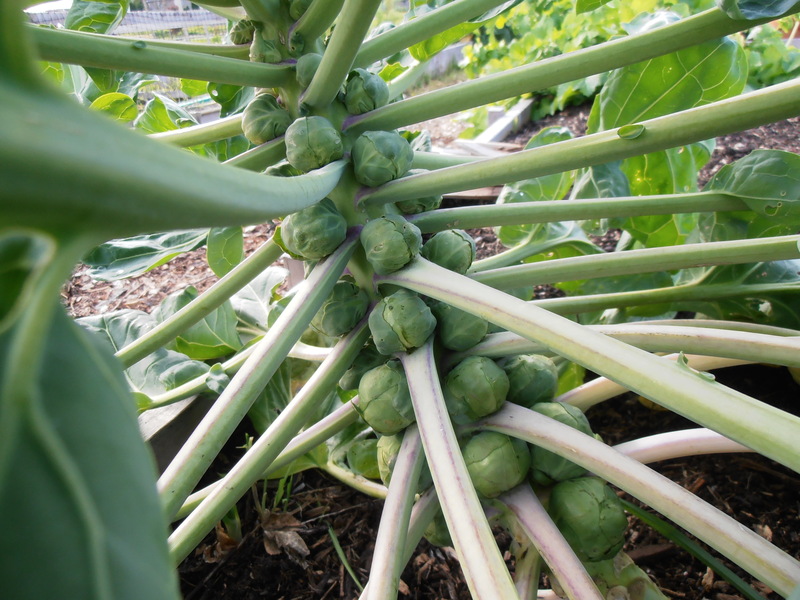 Propagation: Brussels sprouts are primarily propagated by seeds. As we can see, Brussels sprouts are a long-growing crop. For those of you who live in cooler climes such as hill stations, you can give this crop a go, and reap the rewards of your harvest. Use this sweet, crisp vegetable in your salads, or as a light snack on their own, with the satisfaction of having grown them yourself! The cabbage is a plant which is closely related to the cauliflower, broccoli, brussels sprouts, and other cole crops. This plant is prepared in a variety of forms across various cuisines. It is rich in vitamins C and K, and dietary fibre. Over half of the cabbage produced in the world comes from China, as it is a very popular vegetable used in their cuisine. Let’s take a look at this vegetable’s main features. The brinjal, which is commonly known as the eggplant or aubergine in the western world, is closely related to tomatoes and potatoes as it lies in the same Solanum family. It is a staple part of many cuisines all over the world, and used in many popular dishes, with one of the more famous ones (thanks to Disney) being ratatouille. They are also extremely healthy and can be prepared in many ways. Eggplants are high in iron, calcium, and fibre, and are a low-fat, low-calorie food as well. So before this vegetable finds its way onto your dinner table, let’s take a look at its main features. Chives are a member of the same family which includes onions and garlic. They are known for their pungent smell and distinctive taste. They are a staple in European cuisine, and are also a very nutrient dense food. Chives are also said to have properties which can prevent cancer. The plant has certain properties which repel pests, which make it a valuable addition to your garden regardless of the yield. So let’s take a look at this plant’s main features. Vegetable Type: The cucumber is actually a fruit. The cucumber is a plant whose fruits are usually consumed fresh, and used primarily in salads. Its crunchy texture and water content make it an ideal addition to any salad. It is also one of the few vegetables which is said to have parthenocarpic varieties, which means that they can give fruit without pollination. They are actually more than 90% water, but are also high in vitamin K and potassium, along with low calorie and fat content. Let’s take a look at some of its main features. The drumstick is the fruit of the Moringa oleifera tree, which is native to northern India. It is a very versatile plant, with many applications, outside of cuisine such as herbal washing, water purification, etc. The nutritional benefits of the plant and its leaves are widespread, as it is extremely high in protein, vitamin A,B1,C along with high content of calcium, and iron. It is usually cultivated on a large scale, but it is also grown individually in some cases. Let’s see some of this tree’s main features.